Review: Super Affiliate System by John Crestani. If it is right for you? Review: Super Affiliate System by John Crestani. If it is right for you? Most people who make lots of money from digital marketing, generally by invest major portion of their online marketing education towards mastering the art of affiliate marketing, simply because earning money from display advertising with Google Adsense, Infolink, Media.net like advertising platforms require a lot of content and traffic. While the most profitable option for making money online is launching your own products & services but require significant time investment and expertise. Affiliate marketing is the domain where you can make good money even as a newbie. But don’t mistake the last statement to consider that affiliate marketing is easy, it is difficult until you master this art because affiliate marketing consist of large chunk of puzzle pieces. If you miss one or two elements of the puzzle, you cannot solve it. The trouble is the most affiliate marketing education product out there, especially the cheaper one teach you only about a few pieces of the puzzle but don’t tell you about the rest of the stuff because either they don’t know about themselves or they want hide them and confuse you until you buy the higher ticket version as an upsell, they will segregate the whole affiliate marketing domain in multiple courses covering them in separate step and offer as an upsell. Another thing to remember about affiliate marketing is: "What works yesterday may not work today". The rules of affiliate marketing game changes with time. The strategies that worked with older Facebook algorithm will not hold true today, similarly the SEO and PPC techniques are constantly evolving and giving birth to new system, new strategies and that is one thing I like about John Crestani who keeps his system updated with the change in market. That’s why I say that affiliate marketing is not easy, it is hard, there is a lot of smaller skill set that you can master but may still be struck to solve the puzzle of online money making with affiliate marketing. You can also read my articles why most affiliate marketers fail? to understand things you should know before starting as an affiliate marketer. But once you master the art of affiliate marketing, you can make a lot of money online and can even replace you day 9 to 5 job. Many people have done it and set milestones for others. You can master affiliate marketing with Super affiliate system by John Crestani, which is s good but not cheap system, you not only have to spend good money for it but will also have to spend time to go through information rich system to master the art. With the right mindset, this is the right product to jump into affiliate marketing. Search for super affiliate system online for review, you will get multiple mixed reviews partly because of multiple copycat products with the same name, partly because they are dated and refer to past version of this Super Affiliate system, which is regularly updated to keep pace with the changing landscape of affiliate marketing. John Crestani is a millionaire Internet marketers who has made fortune after years of experimentation and multiple failures with Entrepreneurship. He earns 5 million dollars a month as an affiliate marketer and teaches the tricks of the trade to others. Long story short, he is the who has gained success with real world practice and built his internet empire. He knows ins and outs of what had worked, what is working and what should be working in the affiliate marketing space in future. Does that sound like the right person to learn from? If yes, we are on the same boat. I am going to cover what you will get with the system and how to follow through it to make the most out of it. After purchase, once you login to the system, you will be an easy to follow membership site with clear call to actions. As you can see in the below screenshot, the course is organized multiple modules running for week 1 to week 9 to make it step by step easy to follow system. As you can guess it is not a course to finish in one sitting, there is more than 60 hours of exhaustive training material that you should bite once at a time and finish the entire system over a period of 9 weeks. You may try your hands going a little faster, but if you consume it too fast you may suffer from information overload and give up. We don’t want that right? So stick to the schedule as suggested and you will be good to go. From defining a niche, to joining an affiliate network to setup your website for lead capture and setting up you pre-sell page and maintaining good relationship with your affiliate network, john covers everything that you need to know to setup as super affiliate. Week 2 is all about developing the right mindset as a super affiliate. You learn to select the right niche, find the right product, understand consumer psychology and learn why people buy. The most important lesson is about Intent, where you understand the importance of getting the traffic with right intent to get maximum sales for your affiliate offer. This section deals with effective copy writing and not only teaches you the secret of converting sales page writing, but also teach you how to write converting Facebook ads, email autoresponders, google ads, headlines, optin pages and everything in between. While you don’t have to be a professional copywriter to make money from affiliate marketing, but these skills are essential to stay in the game and in week 3 you will exactly learn that. Week 4 is all about getting paid traffic from the two behemoth of internet marketing--Google and Facebook ads. You will not only learn about retargeting, lookalike audience like important concept but will learn tricks to get high quality traffic at affordable cost. You will discover the power of Youtube ads to bring targeted traffic with story telling, and getting relevant traffic from native ads network like outbrain etc. In week 6, you will learn how to scale your profitable ads to maximize your profits and leverage automation to save time. In the week 7, you will how to multiple other campaigns to take your affiliate marketing to next level. While every affiliate marketer uses autoresponders, optin like marketing softwares, there are some advanced softwares and tools that you should know and use as a super affiliate to maximize profitability. In Week 9, john discusses about some other useful courses that will Take you affiliate marketing to next level. This is what I call over delivery, with super affiliate system, you not only learn how to master affiliate marketing but also get multiple ready-made converting ad campaigns in different niche so you can model them and create your own winning campaign. John shares the excel sheets of buyers data in different niches that you can use to create custom audience and lookalike audience for your facebook campaign. This data will take the guess work out of Facebook targeting and help you get the target laser sharp audience that converts. The targeting data alone will cover the cost of course when utilized properly. Ever wondered why some facebook ads works while other don’t despite a better design? If your answer is yes, you are not alone there are thousands of marketers out there who ask the same question to themselves everyday. John understands this and the importance of inspiration for crafting ads that convert. Thus he shares ad swipes files which you can customize based on your business and save hundreds of dollars in guesswork. Just be clear that the all swipe files are for inspiration and should be used as the actual ads after customization for your specific situation. Inside the super afffiliate system, john also share pre-build pre-sell page templates that you can readily import in Clickfunnel and edit to suit your branding communication. This ready-made templates will save you tons of time and money doing it other way around via cpanel which John has also discussed if you don’t want to use Clickfunnel. By the way, if you don’t use clickfunnel, I highly recommend you do to setup a sales funnel fast and start selling. 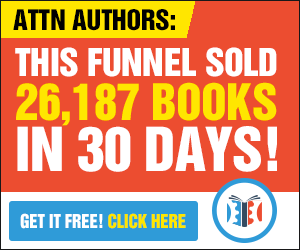 Join this free webinar on Clickfunnel or register for a 14 days Clickfunnel free trial get started with marketing funnels. A practical training is always ongoing thus apart for this robust pre-recorded sessions. John also holds weekly webinar to cover specific aspect of course which you can use to clarify your doubts and ask question relating to the webinar. As extra bonus, John shares a library of small courses & tools on specific topic of marketing. Leverage them as additional resources after finishing the main course. While it is always good to know that you can make money with paid ads, it is exciting to know that you can get free ad credits to test the water. John has also shared hacks to get $900 ad credit to get you started with affiliate marketing and save some money in your pocket. IM Jetset is an earlier training program from John which you get as a free bonus with Super Affiliate System. Ready made Ad campaigns, Swipe Files, Pre-sell pages. Free Targeting Data to create lookalike audience for FB ads. Useful for both beginner and Experienced Affiliate marketer. You may free overwhelmed with amount of exhaustive training. Not a cheap option, the price may limit some people from taking advantage of quality training. Is Super Affiliate System right for you? Yes and No, actually it depends, if you are that kind of person who believe in get rich quick schemes, earning money with putting upfront efforts or earning money without investment, this course is not for you. If you are serious about making money online and are willing to put the time to learn the system this is the right affiliate marketing course for you. If you are ready to invest money on paid ads to make money from it, this is the right training for you and if you believe that hard work in the beginning pays off long-term returns this the right system for you.